I’m writing to request Patagonia reflective tape for use in a bicycle based action to take place in San Francisco during Slow Food Nation and the critical mass. The reflective tape will be used to sew onto bike-flags which poke into the air behind the back wheel of a bike. The reflective ribbon is for higher visibility. The flags are silkscreened with silver ink, and are pretty cool. We’ll continue using them, and selling them for many months to come, even after the initial event. 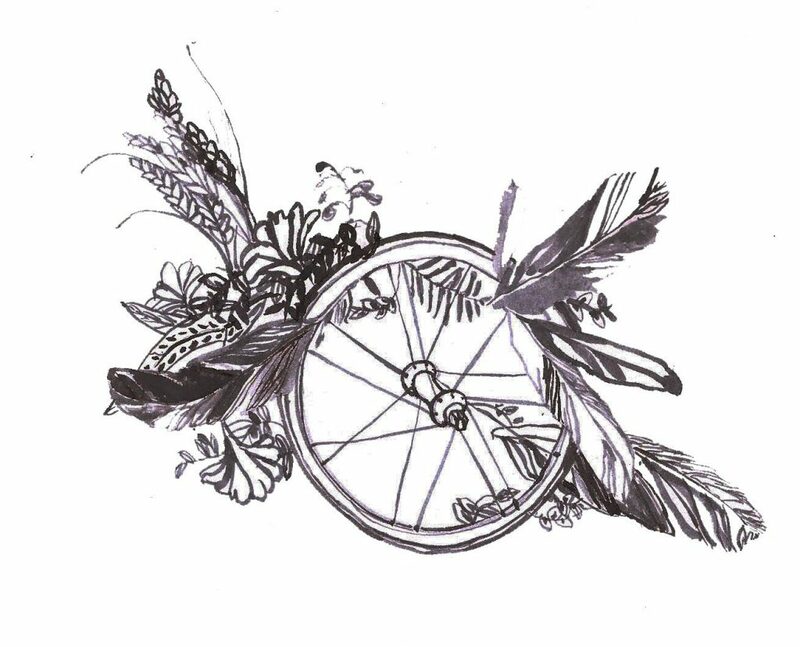 The bike-based spectacle is a part of the media strategy to advertise a new campaign we’ve launched called “SERVE YOUR COUNTRY FOOD!” its a web based database of young farmers mapped across the country with artistic visuals by Brooke Budner. Who is doing this? The Greenhorns! We are a small volunteer driven organization whose mission is to promote, support and recruit young farmers in America. We do this through mentorship, material support, media promotion, networking and primarily through a documentary called The Greenhorns. The new website is www.serveyourcountryfood.net. Our purpose is to help more ambitious, optimistic and considerate young people to make the connection with the soil a daily event, and to bravely choose the career of farming, and the practice of sustainable stewardship. Thank you, Patagonia, for making the clothes that many of us young farmers wear. Thank you for your commitment to organic cotton. Thank you for your continuing advocacy for direct action, conservation, and ethical production of awesome gear. We are huge fans, and deeply grateful for this donation. We’ll credit you in the write up.